This Saturday I was happy to be part of the Bad Timing stall at this year’s Wysing SPACE-TIME festival of art and music. Bad Timing is a Cambridge-based gig promoter focusing on “experimental, electronic, noise, lofi, radiophonics, diy, weird pop, randomness. experiments and inventions from the underground” and I was pleased as punch to be counted amongst their number. 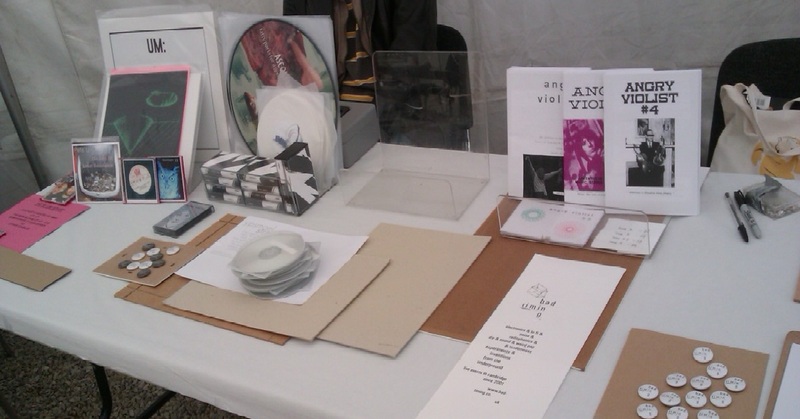 Our stall showcased DIY and handmade screenprints, badges, vinyl and tapes from deep in the Cambridgeshire underground. Thank you to everyone who came by and said hello. In other news, I am deeeeeelighted to say that I will be tabling at this year’s Leeds Zine Fair on 4th November 2012. I can’t wait!